What It’s About: Charlie Brown navigates the Christmas season, despairing at the embrace of the commercial he sees in his sister, friends, and even dog. Will Charlie Brown find the meaning he is looking for? Why Watch it Today? : A Charlie Brown Christmas was the first, and still the best, of all the specials based on Charles Schultz Peanuts comic strip. The special used children as voice actors, giving it a unique sound that fits perfectly with director/producer Bill Melendez’s adaptation of Schultz artwork. Vince Guaraldi’s classic score is similarly perfect for the spare animation and naïve voice actors. The special somehow also manages the feat of reminding us of the religious meaning behind the Christian holiday and decrying the rampant capitalism of the season without sounding preachy (or catering to a specific Christian denomination or outlook), which is, depending on your own beliefs, either impressive or the cynical reason the special has outlasted so many other Christmas specials (see also the feat of decrying the commercialism of Christmas with a special that originally included the characters advertising products). Personally I try to watch the special in the spirit its creators clearly intended. 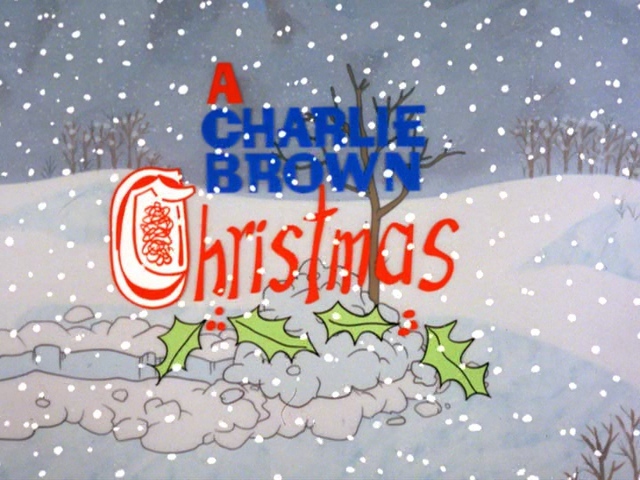 Other Choices: Of course, if you do not celebrate Christmas, or are long tired of Charlie Brown, you could always watch Bring Me the Head of Charlie Brown. Enjoy a 1991 ad for the show, the classic music, as well as the original, Coca-Cola advertising opening and ending credits. This entry was posted in Adaptation, Animation, Based on a Comic Strip, Comedy, Family, Holiday, Made for TV, Movie of the Day, Short, The Original and tagged Bill Melendez, Charles M. Schulz, children, Christmas, Christmas Pageant, Christmas Party, Christmas tree, commercialism, Outstanding Children's Program, piano, psychiatrists, TV special, United Features Syndicate, Vince Guaraldi.